This nomination is from a lovely lady named Judy, her blog is great, and she has an adorable kid. At least he was when he was a baby. She gave me this award and I’m so thankful. It took me a long time to get it on my blog but finally here it is. Her blog is called Judy Lesko she’s a lovely writer and picture taker. Please stop by her page and get to know this lovely woman. 1. Thank the Super Sweet Blogger who nominated them. 2. Answer 5 Super Sweet questions. 3. 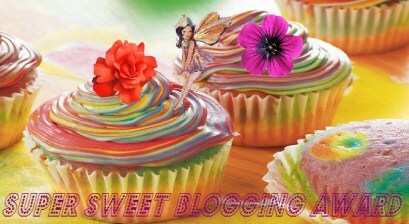 Include the Super Sweet Blogging award image in your blog post. 4. Nominate a baker’s dozen (12) other bloggers. I think this usually means 13, but I didn’t write the rules. Add one or more bloggers, if you wish. Cake because you can freeze it and eat half frozen or smother it with ice cream. Chocolate definitely, because it’s good lol. Ice Cream is my favorite sweet treat. When do you crave sweet things the most? After I eat Pho, or Vietnamese soup, because it’s salty. Ladybug, that’s my daughter nickname. I didn’t name her my auntie did. Burning Fire Shut Up In My Bones has awarded me again, but this time with 7 awards at once. What’s so nice about receiving awards from her is, she always makes me smile with her writing, and I’m getting the awards. She is amazing and loves the Lord with all her heart. It’s a beautiful thing to see God’s grace shining through her writing, I only wish I could express myself as she does. Please check out her page and be blessed!!! Thanks Cheryl for so many kindnesses to me, you always encourage me. Love you dear friend. 1-Answer the 10 random questions of your own choosing. 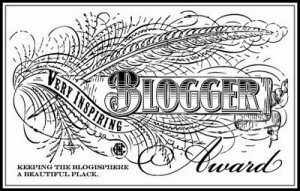 2-Nominate 10 other bloggers for the Award and link their blog sites. 3-Notify the bloggers of their awards. 4-Ask the award winners to answer the 10 questions when they accept their Award. 1~What is my favorite color? All shades of purple. 4~What makes me smile? Babies, they are so cute!!! 5~What makes me sad? Injustice. 6~Why do I write this blog? Because I enjoy writing my thoughts down and allow other to read them. It’s very cathartic, and I also like to encourage, entertain, as well as learn to articulate through the written word. Also, I love taking pics that fit the subject I’m writing about. 7~What’s my favorite sport? TENNIS!!! GO SERENA!!!! 8~What leaves me wanting more? A good mystery novel. 9~What am I glad I don’t have to do anymore? My daughter’s hair!!! 10~What can’t I live without? JESUS!!! 11~What is my favorite quote? “Obedience is the gateway for knowledge to enter the mind.” ~ Anne Sullivan, Helen Keller’s teacher. I have 3 more coming but this is a start!!! Please don’t feel obligated to accept these this is just to encourage you!!! Some of you have so many already!!! I just wanted to give some of my favs a big SHOUT OUT!!! Uwana, this blog has everything, spiritual insight, a woman after God’s heart, beautiful word phrasing, should I go on? Bupe Rose, articulates so well about her home in Africa, and she’s been featured on Freshly Pressed. All that to say, she really deserves this award, I can’t say enough about her. Here is an excerpt from her About page…” Jesus’ #1 fan; an insanely proud mama/wife/daughter/sister; writer; lover of science; and proponent of all things African.” She recently inspired me to write on the same subject she wrote on in her most recent post called, I’m Fearless. I just love her. I received this award a few months ago and have to pass it on, so here you go Bupe Rose, with many blessings: I encourage everyone to read this lovely piece of inspiration! Answer the question listed below, nominate other blog friends (if you want) and post the award logo somewhere on your blog. 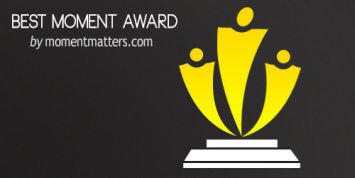 Oh, and send a link to the nominees so they are aware you are giving them the award and/or tag game. How funny, I haven’t said the word “WowWee”, in a hundred years, but that’s how I feel about this award I’ve just been given. I think it’s so fun to tag someone else with an award after you get yours what a great idea. I must say since joining WordPress, it’s been great fun meeting so many people from all over the world. Blogging is Bombastically, Fantastic, especially here on WordPress. Ok enough hype about WP. 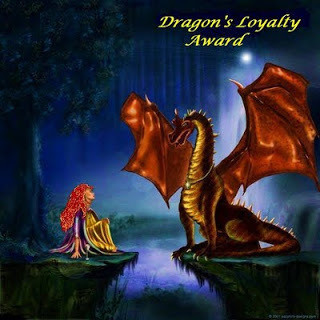 Now to the wonderful person who nominated me for this award!!! 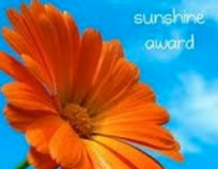 Sunshine, thanks so much for this wonderful, thoughtful, beautiful award. I’m so thankful, wow that’s a lot of ful’s in that sentence. Anyway, your super sweet to give me this award and I receive it gratefully…there’s another one. 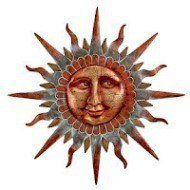 So, let me brag on my newest blog friend Sunshine. She has an awesome blog and the main theme of this blog is, she is super positive. She is clever in her writing style and how she communicates to her audience. One of the ways is through her associate, Chuckles, who is her dog. So I guess I need to give he/she not sure yet, a shout out as well, thanks Chuckles, your awesome too. Okay, so back to Sunshine, oh and did I already say she is super chipper? I love these kinds of people, the are so refreshing to have in life, so needed, so motivating etc. So, her blog is called Simply Charming, are you surprised??? She has a great handle on happiness, and it is simply charming. So having said all of this, let me get to the qualifications to except this award, ready? I am grateful for my roommate Regina, she is a lovely person, who loves God with all her heart, soul, and mind. She’s a loving mom, and grand mom and she has an amazing way of being excited about something. Almost like a child, it’s so adorable, and when she is on board with something she is almost if not literally jumping up and down about it. It’s kind of hard to explain but I love this woman, she is a dear friend in Christ and so easily excitable. Atlanta mom of three ~ she get’s this because she is sweet, great, etc…one of her main topics is her kids her post today is on pinterest. 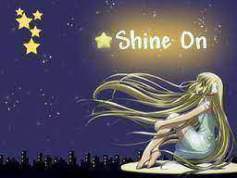 Burning Fire Shut Up In My Bones ~ Gets a shout out for her devotion to the Lord she’s amazing too. Her feature today is…Truth or Lie, and its good readin!! !